Your team’s performance is crucial to the success of your department and the organization. In order to ensure the success of your team, it is critical to help them build the skills and knowledge they need to excel, which ultimately leads to a stronger team. Your ability to help and train your team members builds cooperation, encourages confidence, and creates a stronger and more successful team. Coaching isn’t just showing your employees how to do something; it involves observing, analyzing, demonstrating, and providing feedback. Coaching is a proactive process of developing relationships with your team members. 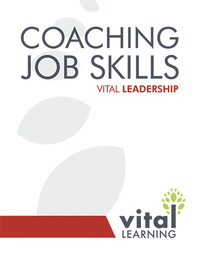 The Vital Learning Coaching Job Skills™ course teaches team leaders and managers how to successfully coach team members in their jobs, as well as how to widen the breadth of team members’ skill sets. 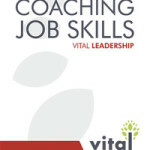 Click the “e” to immediately enroll and begin the Coaching Job Skills online course.